An amazing thing happened this week: I was actually productive, getting everything I needed to get done, done with "tie" to spare on my calendar. What this has enabled to me to do is those little projects that, when I pass them, I utter, "I really need to do that", but never have time. What that means for me today is I get to sit, quietly and do absolutely nothing if I choose to. Instead, I will cut and organize my coupons, finish my Bible study for the week, and continue reading the book I'm reading. I am ready to tackle the week - and what a busy week it will be. But for the first time in awhile, I look on it, hopefully, instead of filled with dread. May you all have a pleasant week ahead. 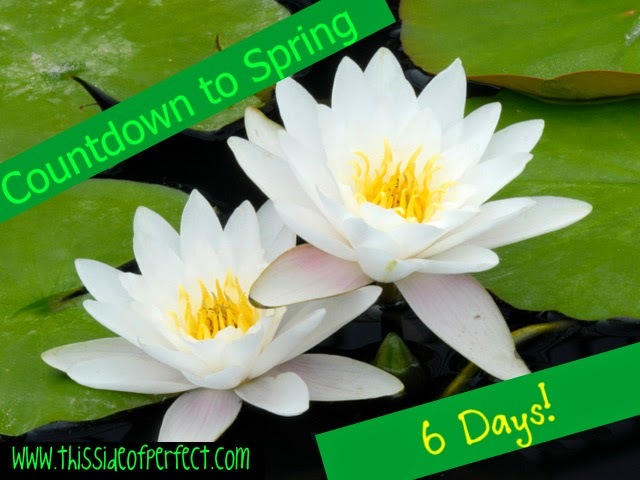 PS - Only 6 more days until Spring!